The Acropolis Museum, located on the sacred rock, east of the Parthenon, houses some of the most important sculptures of ancient Greek art. It is one of the most important museums in the world. Exhibits include sacred sculptures from the temple of Athena Polias on the Acropolis, architectural sculptures of Archaic buildings, parts of the pediments, metopes and frieze of the Parthenon, sculptures from the temple of Athena Nike, as well as the Caryatids from the Erechtheion. It temporarily houses masterpieces of the ancient Greek civilization, dedicated to the most important of the Athenian sanctuaries, the "temenos" of Athena Parthenos. Preparations for the erection of the New Acropolis Museum have already begun. 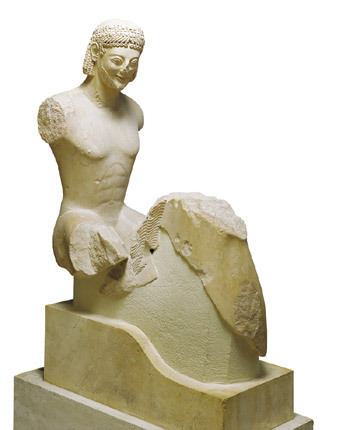 Many of the unique works of art that ornamented the Acropolis have been stolen and transferred abroad. The worst plundering of the monuments took place in the beginning of the 19th century by Lord Elgin. Relief of the "Mourning Athena"